This is the second Steven P.R. book I’ve read in the last week and this one was markedly different from the apocalyptic adventure book The Turning. 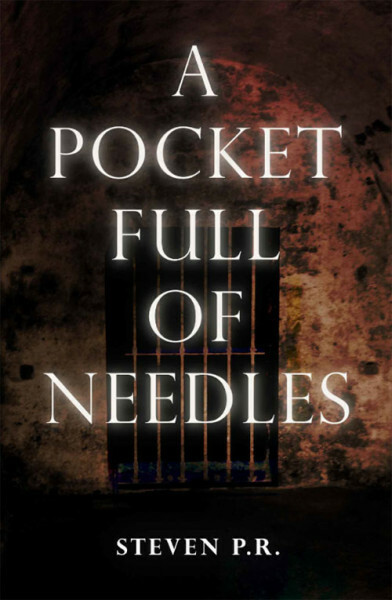 Instead of following a couple as they struggle to survive in a post-apocalyptic landscape inhabited by demons, A Pocket Full of Needles is a horror mystery about a dysfunctional family broken apart by the abduction of a daughter. I have a taste for frightening novels (Battle Royale and Zombie, Ohio are two of my favorites) but this book is truly harrowing. It begins quietly and methodically creates tension between members of the family while slowly revealing their true identities. The characters themselves are complex, intricate, and genuinely surprising. The mother of the family, Lindsay, is a disillusioned school teacher who’s lost her sense of hope. The father, Tom, is an addict psychiatrist deep in denial. Meryl thought that she could get away from her parents and the pressures of college when she left home after graduation. But when she accepted an offer to homeschool the Creighton’s daughter, Dara, she had no idea she would be walking into a world of pain and tragedy beyond her imagination. As Meryl bonds with Dara, reinvigorating her with a sense of purpose, she learns of the Creighton’s tortured past, a past that will eventually catch up with them. As with The Turning, I finished the book in less than three days – once I picked it up, I couldn’t stop reading. As with The Turning, these 271 pages went by extremely quickly. The final act of this book was difficult to read because it was so horrific. Each sentence I read felt like it was confirming my worst fears for the characters in this book, but it didn’t happen in the way I that I expected. This book utilizes elaborate literary mechanics, subtle references, and foreshadowing to stun you with its smart brutality. It’s not just violent, because that alone isn’t very frightening – it’s psychologically distressing. The villain in this book is truly bone-chilling. I won’t be forgetting this one anytime soon.